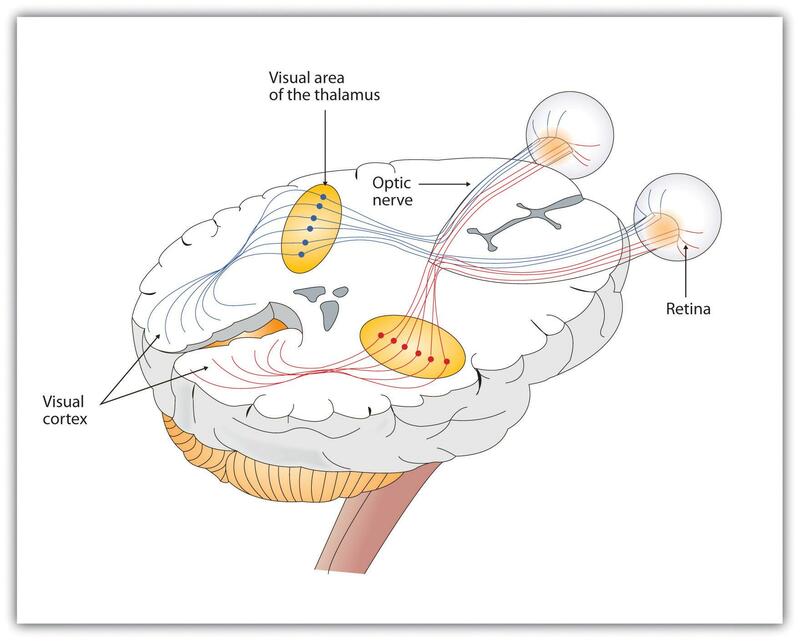 From what I understand, the optic nerve of each eye transmits information to both hemispheres of the brain. This is unlike other sensory and motor information, where (for example) the right hand is controlled by the left and vice versa. Most sources I read skip over this information or don't explain it clearly, but I found it stated this way in this Introduction to Psychology ebook and this blog post (quotes pasted below; scroll for it). However, I also read about split-brain experiments (such as those by Sperry and Gazzaniga) performed on patients who had undergone corpus calloscotomy, where the link between the two hemispheres of their brain was broken. Many of these experiments are vision-based, showing different visual stimuli to each eye and observing reactions in the corresponding hemisphere. But this assumes that the right eye transmits information only to the left, and vice versa, which, according to the other two sources, does not seem to be the case. 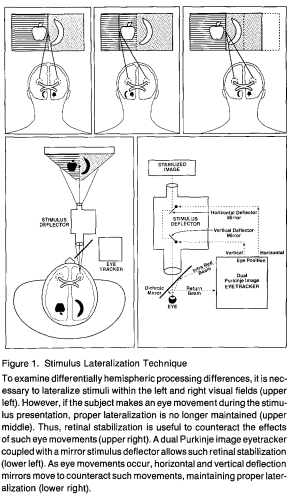 Taking it further, this Psychology Today article mentions studies on hemispheric transfer, which showed that subjects could read text more efficiently when fed directly to the right-eye (∵ contralateral control), rather than going to the left eye and then having to be transferred to the left hemisphere for processing—again implying that vision follows the contralateral principle. To avoid forcing people to follow through links, I've pasted the relevant quotes here. Feel free to skip past to my main question below. Although the principle of contralateral control might lead you to expect that the left eye would send information to the right brain hemisphere and vice versa, nature is smarter than that. In fact, the left and right eyes each send information to both the left and the right hemisphere, and the visual cortex processes each of the cues separately and in parallel. This is an adaptational advantage to an organism that loses sight in one eye, because even if only one eye is functional, both hemispheres will still receive input from it. The blog post, titled A dominant preference: Eye or hand? The neural wiring from eye to brain is more complex. Optic nerve fibers from one eye travel to both the right and the left hemispheres. A team of researchers from UC Santa Barbara, led by Gazzaniga, recently tested information transfer using MEG. 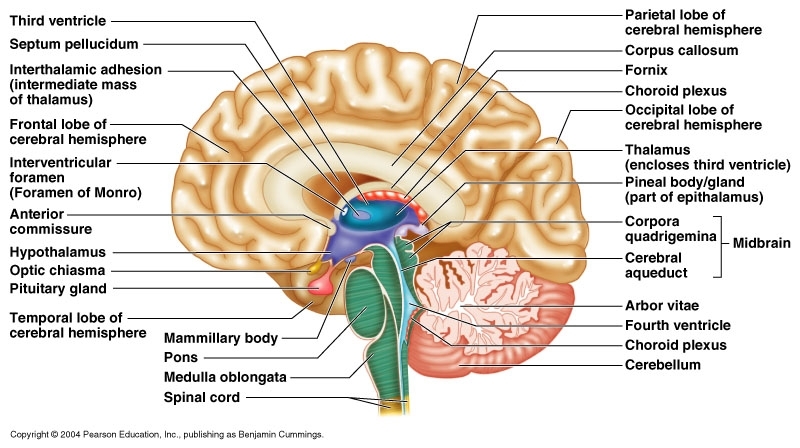 Language is processed in areas of the temporal lobe on the left side of the head. When you read with your left eye, the information first ends up in the right hemisphere and must be transferred to the left hemisphere via the corpus callosum to be processed. To test the efficiency of the hemispheric transfer the researchers showed a randomized list of words and nonsense words to the left or right eye of a number of research participants. They then measured how effectively the subjects would be able to distinguish words from nonsense words. The study showed that subjects were significantly more efficient in determining the nature of the string of letters when the information was fed directly to the left hemisphere via the right eye. Apparently the brain has difficulties processing information that has had to travel long distances. Assuming my first information is accurate, here's one explanation I can think of: each eye usually sends information only to the opposite eye, but the optic nerve fibres travel to both hemispheres in case one eye stops functioning, in which case the remaining eye begins transmitting to both hemispheres. That seems a bit of a stretch, though. So, here's my question: How do vision-based split-brain experiments account for the fact that the optic nerve reaches both hemispheres? Are there other properties of transmission that I'm not aware of (such as my hypothesis above)? Or is the assertion that the optic nerve transmits to both hemispheres simply false? Some of those pop science articles might be simplifying a bit by saying the stimuli are provided to the left or right eyes. In fact, they are actually presented to the left or right visual field which is an important distinction. 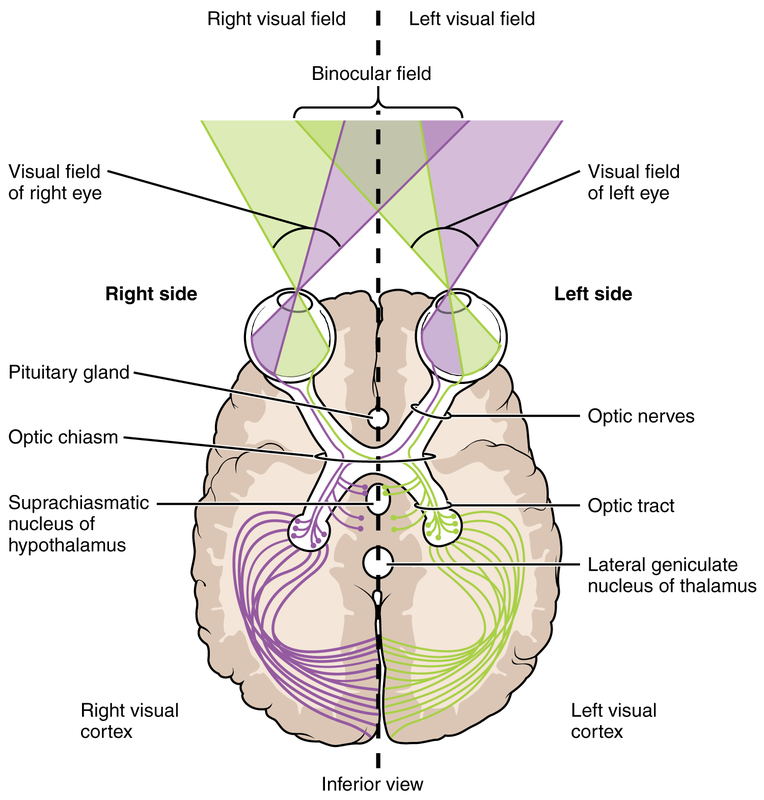 The left visual field, from both eyes, goes to the right hemisphere, and vice versa. Gazzaniga, M. S. (1995). Principles of human brain organization derived from split-brain studies. Neuron, 14(2), 217-228. You will see that they go to great lengths to make sure the image stays in one visual field, tracking the eye movements and moving the image accordingly to prevent any "peeking." The "red" axons from each eye are on the right side of each retina, collect light from the left visual field, and travel to the right hemisphere. Vice versa for blue. Split brain subjects do not (necessarily) have to have an ablated optic chiasm. How do vision-based split-brain experiments account for the fact that the optic nerve reaches both hemispheres? Are there other properties of transmission that I'm not aware of (such as my hypothesis above)? Or is the assertion that the optic nerve transmits to both hemispheres simply false? ...can be answered with the fact that split-brain subjects don't (necessarily) have their optic chiasm severed. And optic nerves do transmit to both cortices for sure (Fig. 2); each hemifield is projected to the same cortical region. This feature allows us to see depth, using binocular vision through a process referred to as binocular disparity. What is the proper term for the synchronization of eye movements? How much our visual limitations are instrument(eye)-based, and how much are they brain-based?